"And then, someone seriously asked the question, 'Have you ever considered entering religious life?' It was a point in my life when I realized I couldn't ignore God's call any longer." Hello, I'm Sister Nancy Miller and I am a member of the Benedictine Sisters of Annunciation Monastery. Together, we seek God through prayer, community, and service to others. Living in community is a very good experience for me. I was born and raised in Harvey, a small town not far from here. I'm the fifth of eight children so sharing things and living closely with others is something I've done for most of my life. Entering religious life was a very gradual process for me. The thought seldom occurred to me in high school and when it did I ignored it because there were other things in life that I wanted. It was also easy to ignore because I had minimal contact with sisters. Some of that changed when I came to school at the University of Mary. My contact with sisters increased and many of them became my friends. But I still ignored any thought of becoming a sister because I just didn't think I was good enough to be one. After graduating I found myself coming back often to visit the sisters. There seemed to be a gentle tugging at my heart to the quietness and the prayerfulness of the community. And then, someone seriously asked the question, "Have you ever considered entering religious life?" It was a point in my life when I realized I couldn't ignore God's call any longer. I had to at least give it a try and find out what God's plan for me really was. I moved to the monastery in January of 1990 have since made temporary vows and five years later made a permanent commitment to live the monastic way of life. I thank God for being a loving presence in my life and marvel at the wonderful opportunities religious life has unfolded for me. God's plan continues to unfold for me as I journey through life. I am not alone. The community is there to encourage and support me in a very loving and growing way. 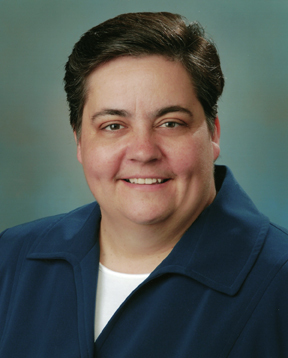 *Sister Nancy Miller was elected prioress of Annunciation Monastery in March 2008. She was installed on May 16, 2008 and served eight years as prioress.